Take the time to read this whole review, it's worth it. When I first came to the dealership (about 2 years ago) I was completely ignored. Mid-twenties guy in shorts and a t-shirt, eh probably not interested. I felt pretty bad and bought my first Vantage in Dallas. Now under new management, these guys are FIRING ON ALL 12 CYLINDERS. Sonny, Shawn and Bryan are incredibly set on helping people find the right car for them, and building a family of enthusiasts. The events they put on are FANTASTIC, and they are incredibly friendly. So when I decided to get a new Vantage (last week) I came to them, told them just what I wanted and told them my budget, which was pretty tight. They looked across the country and found one in California. I couldn't believe it, it was just the way I wanted it. They worked out the financing and in the end I had my dream car. As it turns out, they made almost nothing on the sale (due to the negative equity on my trade in) but it was worth it for them to build the relationship with me. WHEN DOES THAT HAPPEN ANYMORE?!?!? These guys cut out their profits to build our relationship and trust. Incredible. I can't speak highly enough of these three guys, each one took a genuine interest in me and knew what the car meant to me.I'll buy cars from these guys for the rest of my life. I need a good deal on Aston Martin, and the dealership in Austin gave me the best deal in the country. Late European motors, is the place to go to if you want to save on buying an exotic car. Go and see Brian, I guarantee he is the best Aston Martin dealer in the country. Take the time to read this whole review, it's worth it. When I first came to the dealership (about 2 years ago) I was completely ignored. Mid-twenties guy in shorts and a t-shirt, eh probably not interested. I felt pretty bad and bought my first Vantage in Dallas. Now under new management, these guys are FIRING ON ALL 12 CYLINDERS. Sonny, Shawn and Bryan are incredibly set on helping people find the right car for them, and building a family of enthusiasts. The events they put on are FANTASTIC, and they are incredibly friendly. So when I decided to get a new Vantage (last week) I came to them, told them just what I wanted and told them my budget, which was pretty tight. They looked across the country and found one in California. I couldn't believe it, it was just the way I wanted it. They worked out the financing and in the end I had my dream car. As it turns out, they made almost nothing on the sale (due to the negative equity on my trade in) but it was worth it for them to build the relationship with me. WHEN DOES THAT HAPPEN ANYMORE?!?!? These guys cut out their profits to build our relationship and trust. Incredible. I can't speak highly enough of these three guys, each one took a genuine interest in me and knew what the car meant to me. I'll buy cars from these guys for the rest of my life. The team at Aston Martin Austin would like to welcome you to our dealership in Austin, where we’re confident you’ll find the vehicles you’re looking for at a price you can afford. Come and check out our full selection of new Aston Martin vehicles, or get a great deal on a reliable pre-owned model. No matter which vehicle you decide on, our professional finance team will help you get settled with a competitive financing or lease plan. When you’re looking for quality auto maintenance and repairs near Austin, you can always count on the professional technicians in our Aston Martin service department. We handle everything from oil changes and filter replacements to powertrain and drivetrain repairs. Schedule an appointment today, or purchase parts from us to handle maintenance and repairs on your own! Need body work? Reach out to our collision center. 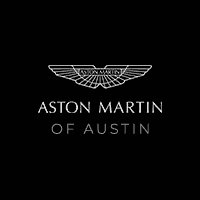 Lots of folks in Austin count on the high-quality vehicles and services found at Aston Martin Austin, and we look forward to living up to our reputation every day. Stop in and see us today, or contact our staff with any questions!